Traveling down our local roads daily are trucks marked “Metro Gro” and “McDonald Farms” and others, which would lead to the conclusion that these are farm entities. incorporated into farm soils. Proponents say this method of disposal is the only way to take care of the solid waste the burgeoning Front Range population generates. Opponents worry about possible pollution of ground water, smell, and soil toxicity. Neighbors, boards, commissioners and others either all have to deal with the permits and consequences of bio solid application, or will, in the near future as application sites and population growth collide. What few realize is that bio solids have been a fact of life for decades, as trainloads of waste were brought into Colorado from the biggest cities from the Midwest and East Coast, a practice that no longer exists. Rifle, CO – The Colorado Ag Water Alliance and the Bookcliff, Mount Sopris & South Side Conservation Districts are hosting a workshop in Rifle for farmers and ranchers to share information and discuss stream management plans. 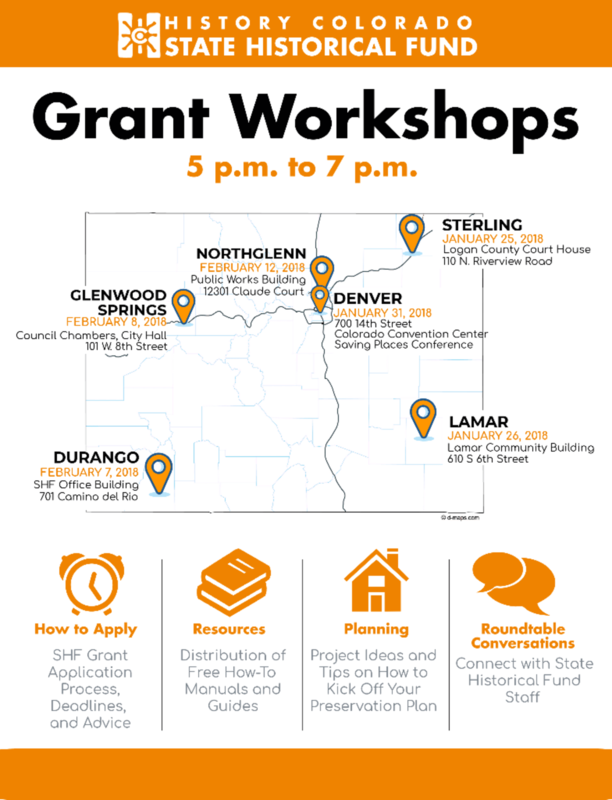 The workshop is at the Rifle Branch Library, located at 207 East Ave in Rifle, CO from 5 -7:30 pm on March 5th. Admission is free and food is provided. You can register at www.rifleagwater.eventbrite.com. 02-06-18 Join us for the 2018 CLA Annual Meeting & Colorado’s Finest Celebration! History Colorado Preservation Programs recently welcomed Tim Stroh, AIA as the new Director of the State Historical Fund. Ames, Iowa – February 6, 2018 – The Swine Health Information Center (SHIC) Plan of Work for 2018, with projects designed to quickly deliver results to safeguard the health of the US swine herd, was approved by the organization’s Board of Directors during their January 26 meeting. House Agriculture Chairman Mike Conaway says Congress should attach provisions to help cotton and dairy farmers to any must-pass bill before the farm bill comes up. Speaking at the Crop Insurance Industry Annual Convention Monday in Phoenix, Arizona, Conaway signaled that he is no longer focused on just convincing the Senate to include the aid in the disaster bill, according to the Hagstrom Report. Conaway told the audience he has found a way to fix the cotton program in the farm bill, but adds that “dairymen need help now.” He says that Title 1, the commodity title of the farm bill, is “on hold until we see what we get on a must-pass bill.” Conaway says he would take any bill that has to get to the president’s desk for signature. As for the farm bill, he says “the good news” is Congress does not have to make mandatory cuts, like the 2014 farm bill, noting farm bill spending has decreased $100 billion since 2014. Conaway says Senate Ag Chair Pat Roberts would like to bring up the bill in March, but that it probably won’t be ready. In a Washington, D.C. speech Monday, an Australian trade official stressed the benefits of the U.S. rejoining the Trans-Pacific Partnership. Australian Ambassador to the U.S. Joe Hockey addressed the Washington International Trade Association Monday afternoon, and spoke on the need to engage with the Asia-Pacific region for security and economic reasons, according to Politico. In prepared remarks, Hockey stated: “Having the United States return to the TPP in the future would represent a net positive for Australia and for the region’s trade and investment growth prospects.” However, there is no indication of President Trump’s intention, other than a consideration to rejoin TPP if the trade deal is reworked. U.S. agriculture is no stranger to benefits of TPP. The trade agreement would be a boon for U.S. agricultural exports at an estimated $4.4 billion increase per-year, according to the American Farm Bureau Federation. Canada Prime Minister Justin Trudeau (true-doh) took a move out of President Trump’s playbook over the weekend, offering his own threats to walk away from the North American Free Trade Agreement. Trudeau says there are several reasons Canada could choose not to accept the renegotiated agreement. Speaking at a townhall event, Bloomberg reports that Trudeau said: “Canada is willing to walk away from NAFTA if the United States proposes a bad deal,” adding: “We won’t be pushed around.” However, he says he believes NAFTA is beneficial for all its member countries. While Trudeau didn’t go into specifics of the “several reasons” that could cause Canada to walk away, officials from Canada have routinely said that a change in the nations dairy policy is a non-starter. U.S. dairy farmers want Canada to change its dairy supply-management system that they say is propping up the Canada dairy industry at the expense of U.S. dairies. But, with more market access granted under the new Trans-Pacific Partnership, that does not include the U.S., Canada dairy groups say they’ve “had enough” and won’t give up further ground in NAFTA. Talks between ADM and Bungee are advancing, and ADM says it could reach an agreement to purchase Bungee as soon as this week. Archer Daniels Midland, or ADM, proposed a takeover of Bunge last month, as Reuters points out that large grain traders that make money by buying, selling, storing and shipping commodity crops have struggled with global oversupplies and thin margins. While ADM and Bunge declined to comment on the talks, anonymous sources say an agreement could be reached this week. The potential agreement would continue the round of farm sector consolidation, with completed mergers of DowDupont and between ChemChina and Syngenta, along with the pending merger of Bayer and Monsanto. Reuters says any deal between ADM and Bungee would face stiff regulatory scrutiny and likely opposition from U.S. farmers who fear the move could hurt grain prices. As of Friday, Bunge had a market value of about $11 billion, while ADM was valued at $23 billion. While research suggests that there has been less farm and ranch land for sale than usual over the past few years, Farmers National Company is reporting a 50 percent increase in listings. Experts say the industry is experiencing a post-harvest bump in land prices in most grain producing areas, meaning that with above average crop yields in most locations, farmer optimism has increased as has the bidding for quality cropland. Meanwhile, continued low interest rates are helping create a demand for ag land as a long-term investment for individuals and institutional funds. A company spokesperson says: “There is still enough purchasing power in the hands of farmers to compete for good land.” However, the next six months will determine what the market does next, with many negative factors looming. Low grain prices have depressed farm income and reduced cash flow, leaving less available funds for farmers to purchase land. Farmers National Company is proclaimed as the nation’s leading agricultural landowner services company. Kansas lawmakers have introduced a bill to address county-level transparency in the fallout of the proposed Tyson processing plant in Tonganoxie, Kansas. A proposed processing facility was abandoned following perceived opposition in Leavenworth County, Kansas, last year. The legislation would require countywide public votes on large-scale poultry project proposals, expanding existing state law allowing public scrutiny of hog and dairy facilities, according to meat industry publication Meatingplace. A sponsor of the bill says it would improve transparency of county-permitted poultry operations, contending that local residents were unaware that Tyson was proposing a poultry plant in their community. The proposed $320 million Tyson facility would have created 1,600 jobs to the community, according to company estimates.